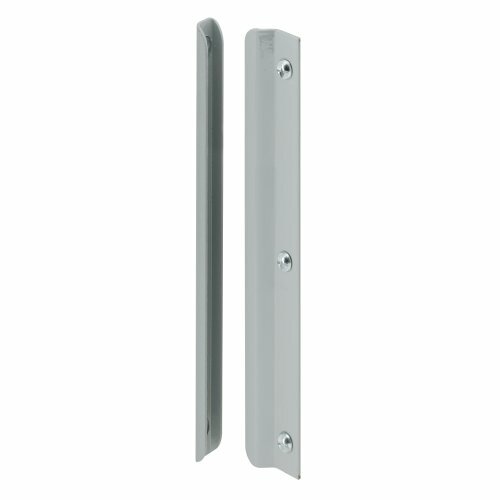 This latch shield is constructed of durable steel and comes in a gray painted finish. It features a 5/16 in. offset and it accommodates up to 3 in. outside diameter rosettes. 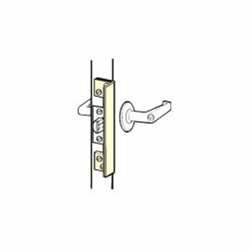 This latch shield is designed for use with out-swinging doors with a 2-3/8 in. backset, and it can be used on residential, commercial and industrial applications. Use of this latch shield on out-swinging doors secures against access through forced entry. This guard measures 2-5/8 in. wide x 6 in. tall and it has 4-7/8 in. mounting hole centers. Fasteners required for installation are included. 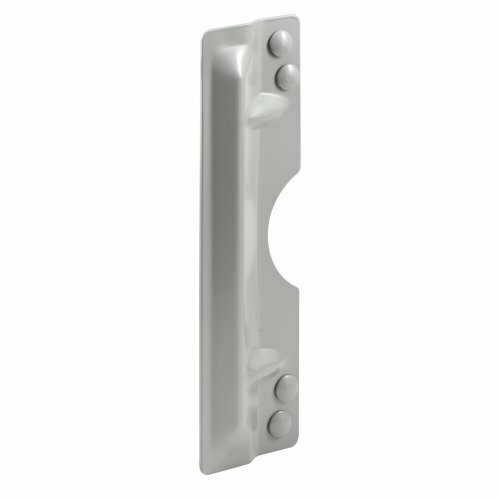 This latch shield is constructed of durable steel and comes in a gray painted finish. It features a 1/4 in. offset and it accommodates up to 3 in. outside diameter rosettes. This latch shield is designed for use with out-swinging doors and it can be used on residential, commercial and industrial applications. Use of this latch shield on out-swinging doors secures against access through forced entry. This guard measures 3 in. wide x 11 in. tall and it has 8-5/16 in. & 10 in. mounting hole centers. Fasteners required for installation are included. This latch shield is constructed of durable steel and comes in a gray painted finish. It features an interlocking design to prevent access by forced entry on swing-in doors. This latch shield is designed for use with in-swinging doors and it can be used on residential, commercial and industrial applications. Installation of this latch shield requires no mortising, and it can be mounted on wood and metal door systems. 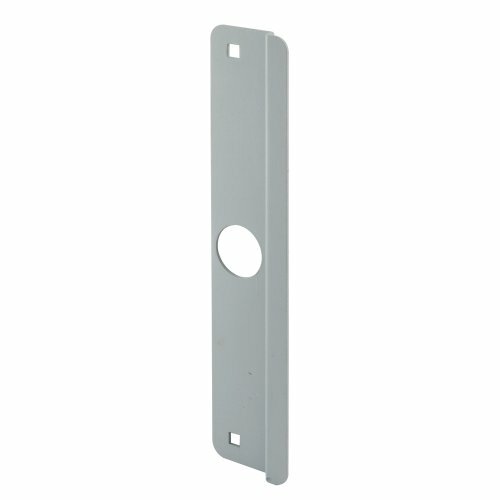 This item is complete with one-way, tamper-proof screws for use on jamb-mounted bracket. Installation is as easy as; present in place, mark holes, pre-drill and install. Note: A one-way driver bit may be necessary to drive in one-way screws in lieu of a regular flat head screw driver. This 2 piece shield is constructed from steel and comes plated in brass. The interlocking brackets help to protect your door from forced entry. It requires no mortising and may be applied to wood or metal inswinging doors. 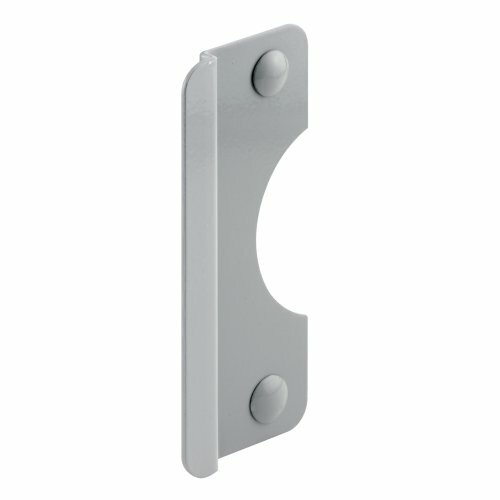 This latch guard is constructed from steel and comes painted gray. It is used on aluminum entry doors and fits on Adams Rite latch/lock. 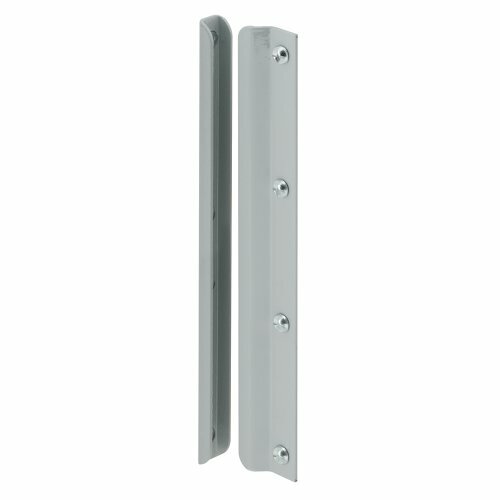 This latch guard is constructed from steel and comes finished in gray. It is designed to protect your door from forced entry. This style latch guard is used on inswinging doors. ALP 206-SL Finish: Silver Coat, Size: 6" H x 2" W x 0.134" D Features: -Works with knobs and levers. -Material: Steel. -For outswinging doors. -Made in the USA. Door Type: -Exterior. Style: -Contemporary. Country of Manufacture: -United States. Product Type: -Latch/Catch/Bolt. Dimensions: Size 10" H x 2" W x 0.134" D - Overall Height - Top to Bottom: -10". Size 10" H x 2" W x 0.134" D - Overall Width - Side to Side: -2". Size 10" H x 2" W x 0.134" D - Overall Depth - Front to Back: -0.134". Size 6" H x 2" W x 0.134" D - Overall Height - Top to Bottom: -6". Looking for more Latch Shield similar ideas? Try to explore these searches: Organic Poultry Seasoning, Kobe Bryant Basketball Player, and Life Ski Vest.